Are you prepared to manage (and ultimately overcome) these challenges head-on? As a profession we’re getting better at managing common supply chain disruptions – supplier performance management and demand forecasting used to be the cause of week-long headaches… But the advent of new technology and implementation of streamlined processes are taking some of that strain. However we are not (yet) very effective at managing the less frequent, higher impact events that effect our operations. On Thursday 30 April, Procurious will host a world-first cost leadership think-tank at The Soho Hotel in London that will be amplified online to our 4500 members across 100 countries through a mixture of videos, interviews, social media and feature-writing. Follow along on Procurious by RSVP’ing here, then get ready to Tweet your questions and join-in with the discussion! Below we’ve listed 5 key risks that procurement and supply chain staff face in 2015 and beyond. 2014 was the year that cyber attacks got real. The recent attacks on Sony Pictures exemplified that hacking has moved from a nuisance to a full-scale criminal operation. Cyber attacks not only cause significant business interruptions they also have an extremely detrimental effect on brand reputation. According to the Edelman Privacy Risk Index 71 per cent of customers say they would leave an organisation after a data breach. We’re not only seeing a increase in the frequency and severity of cyber attacks, but companies appear to be grossly underestimating the risks attached to these attacks. The Allianz Risk Barometer suggests that 29 per cent of organisations are ill prepared to deal with cyber threats – a figure that is significantly higher than any other risk category. 2014 saw the largest outbreak of Ebola in written history. Over 10,000 deaths were recorded over the course of a few short months. In addition to the horrific human cost of this epidemic, it provided us with a sobering glimpse into what a global health pandemic might actually mean for our supply chains. While Ebola was contained largely to a small number of West African nations, cases began to show up in Spain, United Kingdom and the USA. Fortunately Ebola, while an incredibly deadly disease, is not highly contagious and the outbreaks were all suitably contained. Had the outbreaks taken hold and spread further around the world, it would have likely had crippling effects on economic activity and trade flows. Nations may have been forced (as Sierra Leone was) to enforce lock-down periods where highly populated areas like shops, markets, and places of worship were shut down and people ordered to stay at home for significant periods of time. As well as the human and economic impact of diseases, procurement and supply chain managers should also consider the impact these events have on the security of commodity supplies. The troubles in West Africa last year impacted the supply of raw materials such as cacao, rubber and aluminium ore. Extreme weather slows procurement progress. The economic impact of last years extreme weather events are summarised brilliantly in this chart produced by the Bank of America for the World Economic Forum in Davos. For some sense of perspective, the combined financial impact of 2014’s 10 most extreme weather events totalled more than $27 billion USD (that’s just slightly more than the GDP of Ecuador). 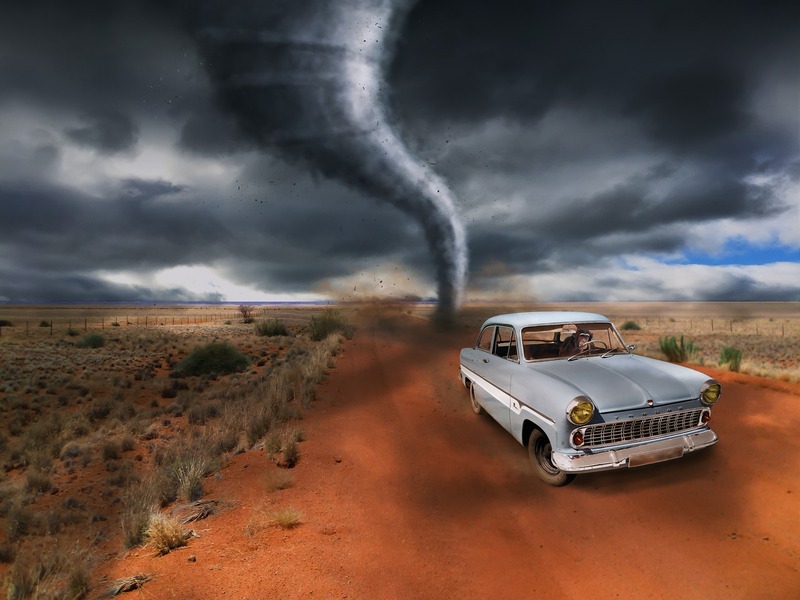 With extreme weather events apparently occurring more frequently and causing more harm to our operations, what exactly are procurement teams doing to plan for these sort of events? Consumers are taking a far greater interest in where their products are coming from. As a result, organisations and indeed procurement and supply chain professionals are increasingly vulnerable to public scrutiny of their corporate practices. A recent Chartered Global Management Accountant survey highlighted that 76 per cent of global finance chiefs now say that their company is prepared to lose short-term profit in order to protect its long-term reputation. The same number suggested there should be more emphasis placed on reputational risk this year. This is in stark contrast to responses collected in previous years. Despite these suggested commitments there appears to be gap between the promise and the practice of brand protection. 60 per cent of those surveyed admitted they had no formal processes or models in place to calculate the financial impact of not managing reputational risk. Political instability and war continue to pose threats for organisations with international operations. Events in the Ukraine, Russia, the Middle East (and a normally peaceful Hong Kong) have gone some way to destabilise the confidence of business operations in those regions. Being the naturally curious sort we’re on the lookout for the hot topics, and big questions that influence the decisions supply chain managers will be making over the coming year. We want to know how the corruption allegations in Brazil will play out, what the drop in oil prices mean for the conflict in the Ukraine, and whether election results in Israel will bring stability to the region? In its recently-published Reliance Index, FM Global listed Venezuela as bottom, while Norway came out on top. Read more on this story here. Whether it’s war, hacking, weather, terrorism or brand destruction, risk will continue to play a pivotal role in the success of supply chains and indeed organisations as a whole. The question is are you prepared to manage (and ultimately overcome) these challenges head-on?